Justice Ministry spokesman says show was shut down for "security reasons"
An exhibition in Jerusalem of 35 artists re-imagining the Israeli flag was abruptly shut down last week on orders of the security adviser of Israel’s ultra-right wing justice minister, Ayelet Shaked. The work was removed before Shaked spoke on-site on 18 June. 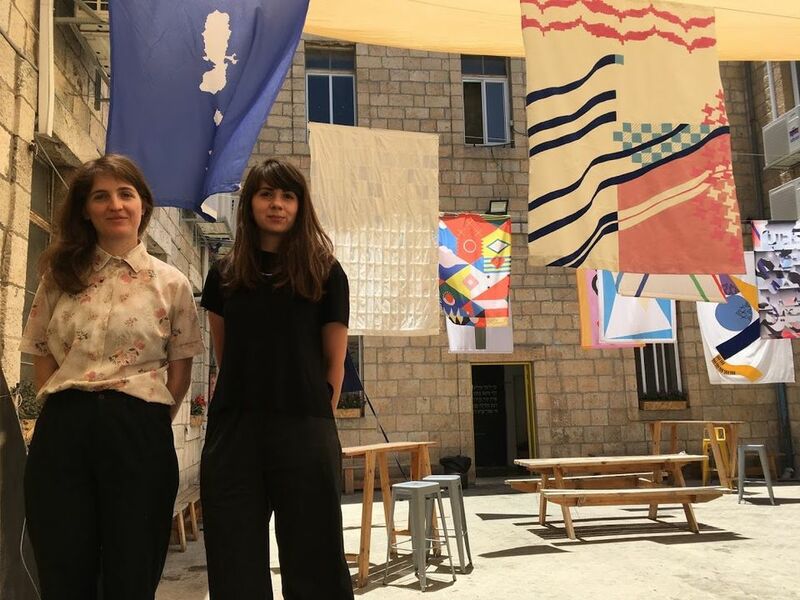 The Tel Aviv-based curators, Shy Ben Ari and Zohar Dvir, were not asked or informed of the closure of the show, which opened on 8 June at the Alliance House as part of Jerusalem Design Week. The 19th-century historic building houses 120 artists with the support of the Jerusalem non-profit New Spirit, which was asked to temporarily take apart the show that they had funded. The flags, which were hung from the ceiling, were returned two nights later. Questions remain for the curators, who were looking forward to examining a sacred national symbol on Israel's 70th anniversary with artists from all ages and political affiliations. The Palestinian artist Nawal Arafat depicted a sea filled with the separated Palestinian areas as islands without contiguous territory; the Jewish artist Ohad Hadad merged Israeli and Palestinian symbols, while others highlightedJewish history or social or economic concerns. The fashion designer Yael Shenberger—who found on Google that there are 193 countries in the world “and Palestine”—sewed 193 white flags together with an extra one atop another. The removal of the exhibition against the backdrop of increased artist protests for freedom of expression is symbolic, the curators say, especially in light of a justice minister who has been an outspoken advocate for Jewish nationalism at the expense of national rights for minorities. “We talked about how free we felt but in the end it’s weird how many doubts we have and how many things happened that we don’t understand,” Ben Ari says. The Israeli flag has been controversial for Israel’s Palestinian citizens, who make up 21% of the population and say the flag's Jewish Star of David and its blue stripes based on a Jewish prayer shawl do not represent them. Some in the Jewish community see the flag as a symbol of Jewish redemption, salvation or sacrifice. Israeli flag desecration is a punishable offence; Palestinian flags are often confiscated by Israeli police. Dvir says that even if there was no censorship and an unavoidable security reason in this case, the many doubts that arose over the removal of the exhibition “shows that already there is a freedom of expression problem” in Israel.